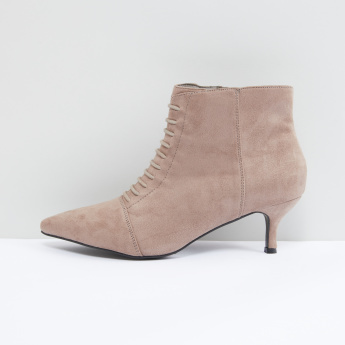 Put your best foot forward by wearing these stylish boots. Sporting a convenient zip closure, these boots have a shoelace detail that adds to their overall look. 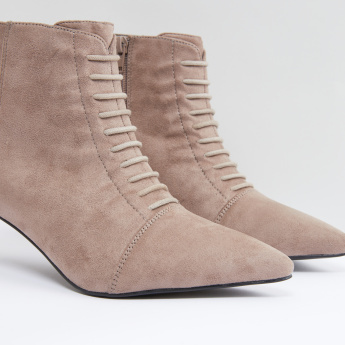 Along with a soft footbed, these boots boast of comfortable kitten heels.